Grandpa Sam had a vision to not only make the best pizza, but to also continue the tradition of family gatherings. 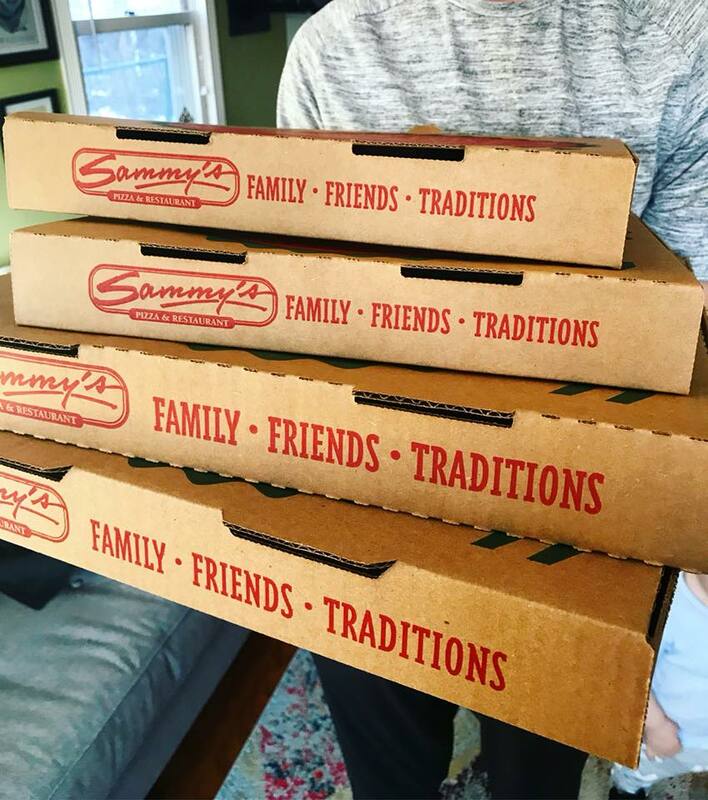 That’s why at Sammy’s, we’ll make room for your large party. 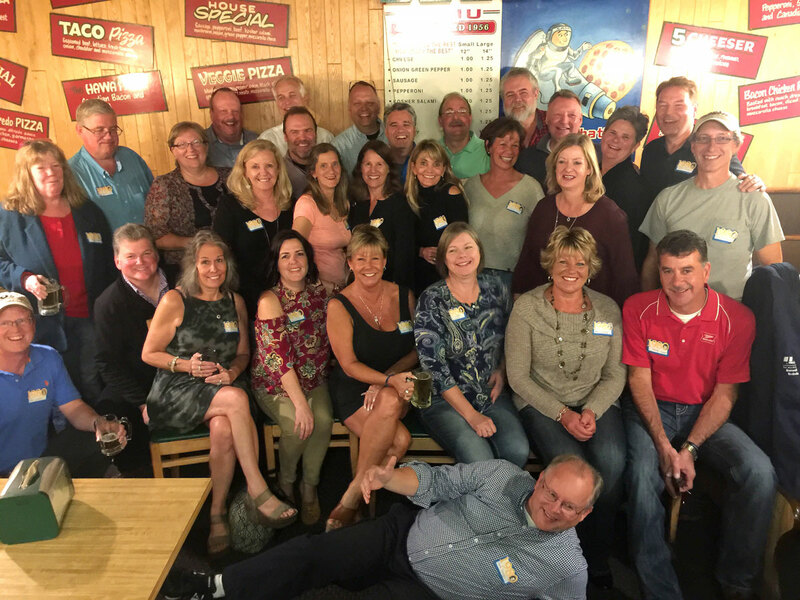 Whether it’s in the center of our restaurant or at a location you choose, we’re happy to serve team parties, birthdays, work meetings – you name it. Please call 218-727-8551 or fill out our contact form for availability and reservations. Option 1 (Groups of 15 or more): Includes All-You-Can-Eat buffet with a variety of one-topping pizzas along with a salad bar. The price is $9.95 per person. Additional charge of $1 per person for pop. Option 2 (Groups of 15 or more): Includes All-You-Can-Eat buffet with rigatoni pasta and our homemade marinara sauce, along with garlic bread and a salad bar. The price is $9.95 per person. Additional charge of $1 per person for pop. Option 3 (Groups of 25 or more): Includes All-You-Can-Eat buffet with a variety of one-topping pizzas, rigatoni pasta with our homemade marinara sauce, along with salad bar. This option is $10.95 per person. Additional charge of $1 per person for pop. 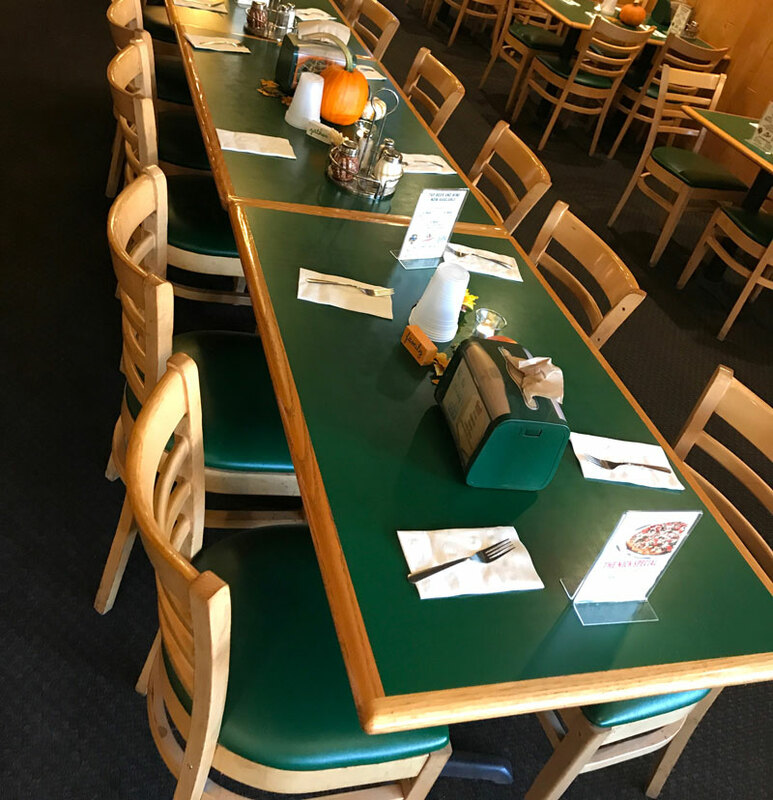 Option 4 (Groups of 25 or more): Includes All-You-Can-Eat buffet with rigatoni pasta and our homemade marinara sauce, Fettuccine Alfredo, salad bar, and garlic bread. This option is $10.95 per person. Additional charge of $1 per person for pop. Groups of 25 or more that DO NOT opt for our buffet special are eligible to receive our pitcher special. This means with the purchase of any 16" pizza, a pitcher of pop is just $2! If you're interested in having an event catered, please call 218-727-8551 for details.